"Belle and Sebastian, humbly, and with a good will, wish to stand behind the displaced peoples of Syria in their brave attempt to find a better life in Europe. If governments won't help them, then the people must. " 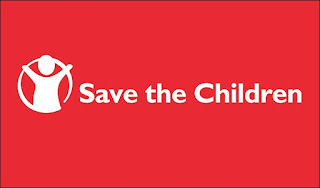 If you are able to contribute to the fundraising appeal, there is information on how to do this via the Save The Children website here. As for the gig itself it seems churlish to review it as a gig, as the whole point of the evening was to raise money and spread goodwill, but it consisted of a lot of great Scottish bands that I've seen already many times over. So for me the whole evening was just a great big treat. Without meaning to, I ended up getting seats in the front row, which was odd. The Armadillo is such a nice, sedate venue with comfy seats, and they let you take glass bottles to your seat. I was overly aware that about the only row of seats that the bands could see from the stage was the one which had me and my brother sitting in it so I was smiling and on best behaviour. It was a line up that required standing up and swaying, but we just sat back and let them entertain us. Edinburgh trio Young Fathers opened the evening. They have been outspoken on immigration and refugee issues before. Their current tour is titled "We Are All Migrants" and in 2014 I had seen them perform at a World Refugee Day gig in the Old Fruitmarket. They are a phenomenal live act and this is the fourth or fifth time I have seen them live. As the earliest act, whilst people are still arriving they didn't let that distract them and just battered out their tunes. They got us to make some noise if we agreed that "Glasgow welcomes refugees". We obliged. I really hope that it is true, as I love my city and don't want to view it through rose-tinted spectacles, but I think that we've got a good record on this. I hope the council step up and offer homes to the people desperately needing them just now, who could bring so much to our city. If you get the chance ever to see Young Fathers live I would encourage you to take it, as they are a phenomenal act. Comedian Josie Long briefly made an appearance as compere. Her 15 minutes was enough to get the stage set for Mogwai. Post-rock behemoths Mogwai have just released an excellent retrospective compilation, "Central Belters", to mark their 20th year and in June played two nights at the Barrowlands to mark the anniversary. I love the way that they set up on stage, with a big gap at the middle and the music taking centre stage. They played a barn-storming 45 minutes set, finishing with "Remurdered" from their latest album, Rave Tapes. Next up were Franz Ferdinand. They have recently been touring as one half of supergroup FFS, with the Mael brothers of Sparks, on the back of their recent collaborative album. I have seen them performing recently as FFS and previously playing the Barrowlands a few years ago as Franz Ferdinand and they are another great live act. Lead singer Alex Kapranos was the first of two ex-members of Glasgow ska stalwarts The Amphetameanies up on stage tonight. They battered through their hits, raised an arch eyebrow and bid us farewell. Entertaining as always. Scottish indie band Belle and Sebastian were the organisers of this whole event. Only a few months ago they had played across the car park from tonight's venue at the Hydro, as part of their ongoing world tour. Maybe it was because I was sat in the front row, but tonight's gig seemed a much more comfortable and homely affair for them. As is their want, they got people up to dance, much to the annoyance of the unnecessarily officious stewards at the venue. Really, is a Belle and Sebastian crowd going to start a riot? Lovely to hear some of the best tracks off of their latest album (Girls In Peacetime Want To Dance) plus a couple from If You're Feeling Sinister (Stars of Track and Field and Judy and the Dream of Horses.) They are always best when they've got a bit of brass backing them up and it was great to see Mick Cooke playing with them again (ex-Amphetameanie). The evening finished with the slightly surreal sight of Jim Kerr and Charlie Burchill (off of Simple Minds) coming onto the stage to sing, with Belle and Sebastian as their backing band. If, like me, you went to school in the west of Scotland in the 1980s Simple Minds were omnipresent. I was too cool to be into them, but if you were ever on one of those new fangled telephone chatlines at that time, a standard opening gambit would be "What bands are you into, I like U2 and Simple Minds?" Before Jim Kerr and Charlie Burchill performed as Simple Minds, they were seen playing in Glasgow by my mum and dad in about 1977, when they were in punk band Johnny and the Self Abusers. I myself have bizarrely seen them perform twice before. I saw Simple Minds play at Wembley in 1988 when I drove down with my brother to the Nelson Mandela 70th birthday concert and they seemed to play at a fair few things last year at the Glasgow Commonwealth Games, one of which I stumbled upon at the BBC building. Although most of the people dancing down in front of the stage wouldn't have been born when they were released, we got a rendition of Promised You a Miracle and Don't You Forget About Me (as featured in The Breakfast Club). Bonkers end to a fantastic night's entertainment. 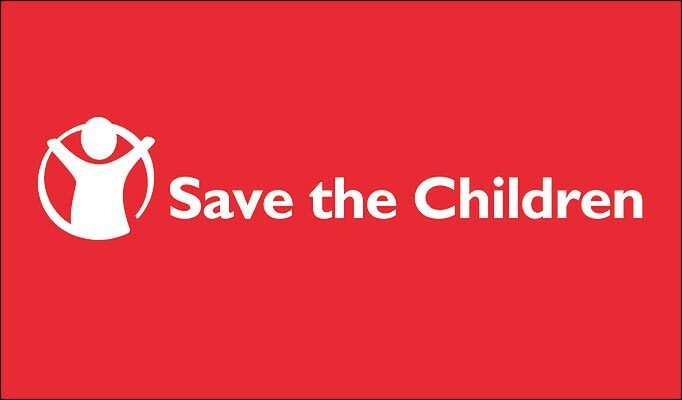 If you are able to contribute to the fundraising appeal, there is information on how to do so on the Save The Children UK website here.